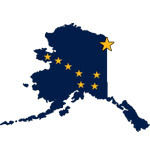 “The Governor is calling the Legislature together this month to consider some big issues and make some tough decisions that impact every Alaskan. Decisions about our future have to reflect all Alaskans, not just a few with power and influence. As we get ready for the special session we really need to hear from you,” said Sen. Egan. Wednesday’s town hall meeting will be held from 4:30 p.m. to 6:00 p.m. in the Juneau Douglas High School Commons. The event will feature an update from the Juneau delegation and time for questions and comments. Wednesday’s town hall meeting is open to the public and pizza will be provided. For more information, please contact Sen. Egan’s office at (907) 465-4947, Rep. Kito’s office at (907) 465-4766, or Rep. Parish’s office at (907) 465-3744.